A custom home for your bike. One of the biggest hassles of owning a bike is making sure it’s safe and stored properly without taking too much living space inside your home. The Alpen Bike Capsule is designed specifically to fulfill these storage needs. The capsule is a custom garage for your bike that’s built out of “indestructible” roto-molded polyethylene and equipped with an integrated locking mechanism. The circular pod can house almost any type of bike, including mountain bikes with wide handlebars, as well as your cycling accessories. The pod bolts securely to the ground and offers waterproof coverage suitable for outdoor use, garages or in shared spaces. 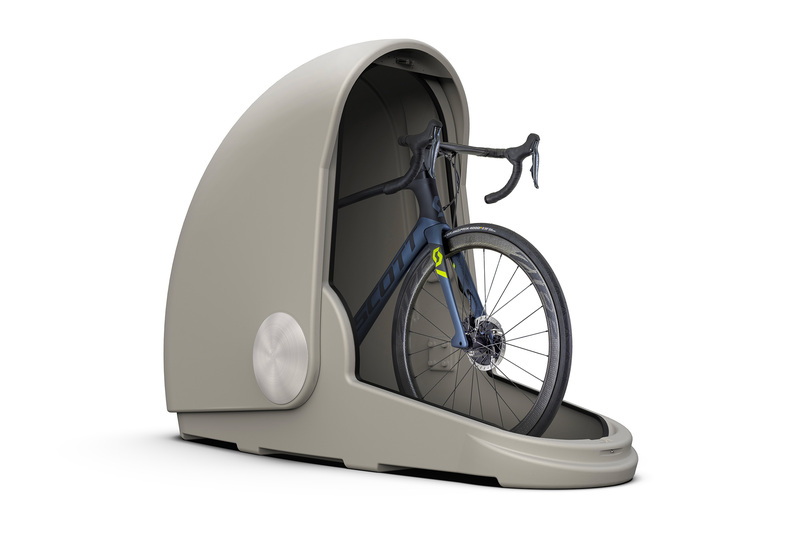 You can pre-order the Alpen Bike Capsule now for $899 USD at Alpen’s website. If you’re looking for a new two-wheeler, Honda is releasing a street-legal dirt bike this fall. A revival of the 1967 satire piece. A zipped pouch and a waist bag. Another luxe variation of the contemporary runner.